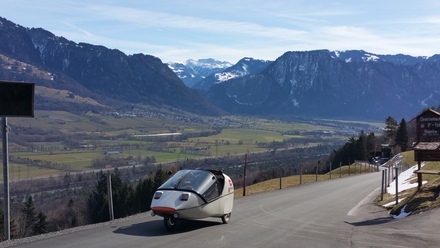 as you might know, the swiss TWIKE driver’s association organizes various events every year. 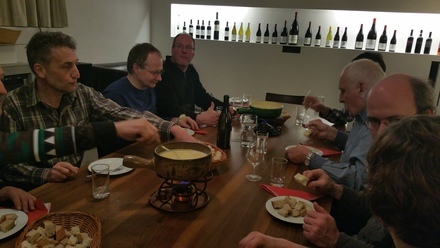 since we’re in switzerland, fondues and related events are “de rigeur” during the cold season. this year, we’ve been treated to a total of 4(!) 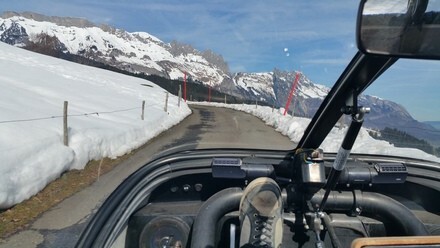 such events for the club alone – one of the better ones is away from the usual swiss gravitational centres: far off in the grison alps. 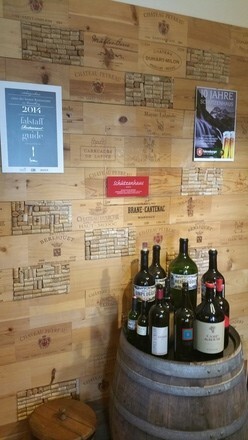 i’ve already blogged about one of theses events here. 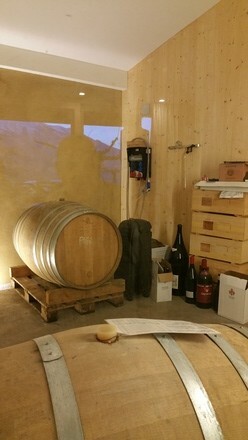 this year, the grison event is going to be held in the wine-producing foothills of malans at a winery. both myself and my trusted co-pilot and fondue-loving partner-in-crime had decided to take part at the event separately. after chatting about the long drive home in the dark and cold after a usually very satisfying event, we decided not to bother and stay close-by. 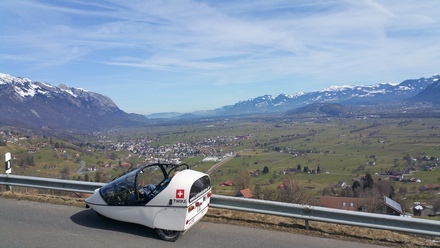 long story short – after just another few iterations, taking part at the event had ballooned to a full two-day trip with TW231 across switzerland and back. with weather predictions hinting at an extremely nice weekend, we were looking forward to this trip more and more, since it would be the first longer trip we would be undertaking in 2015 besides my usual ~50-150kms-a-day commute/business related travel! ah. 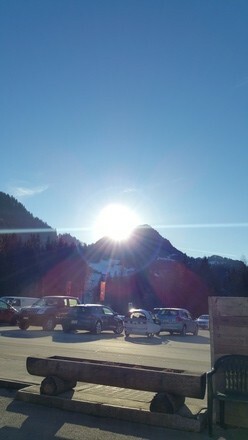 this is going to be a very nice day, indeed! 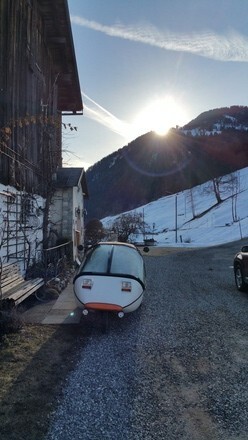 at jc’s place, he is already waiting in the sun, with TW231 fully charged and ready to go. 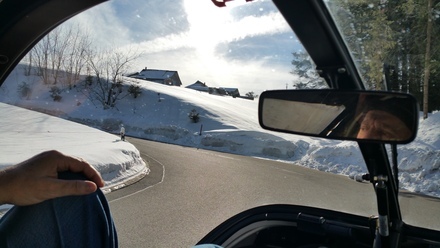 since TW231 is his vehicle and we’re – as usual – only taking one TWIKE out for the trip, he gets to drive. 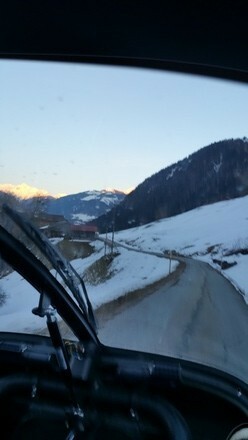 our route takes us straight across many small hills higher and higher towards the mountains. going higher up also means we get high enough to be back in snow-covered landscapes. 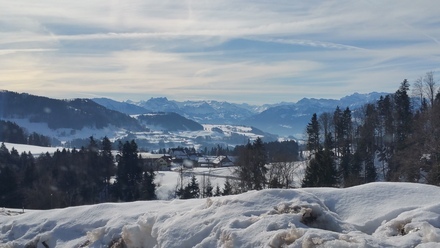 with the sun getting stronger, there are interesting snow/non-snow views to be seen, where the valley has both a north-facing and south-facing side. 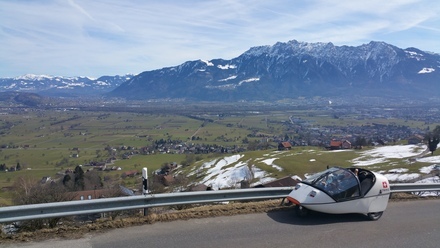 overall, the sunny weather heats up the (closed) interior and we both decide that it is time to open the canopy and get some wind and sun into the twike. 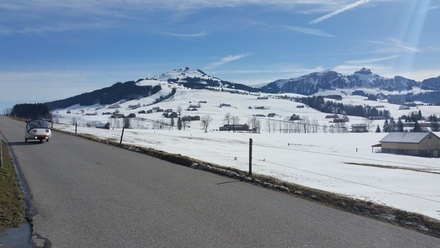 driving along small roads, we marvel at the beautiful surroundings and are looking forward to the appenzell region with the iconic säntis mountain. 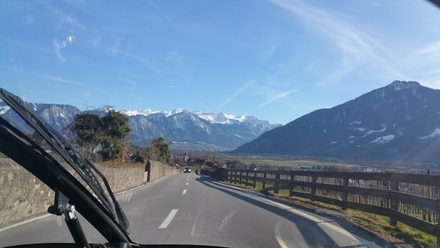 see for yourself how nice our drive was. 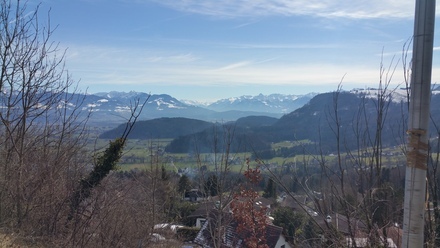 the säntis is lefthand at the back. 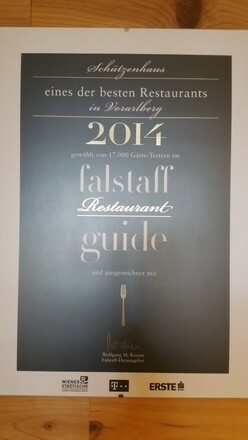 as i know my way around feldkirch (used to be here at least 5 times a year (see here1 and here2 and here3 and here4) – feldkirch is the loading point for train-based car transports to vienna, graz and villach), we decide on a restaurant just above the town close to the schattenburg. 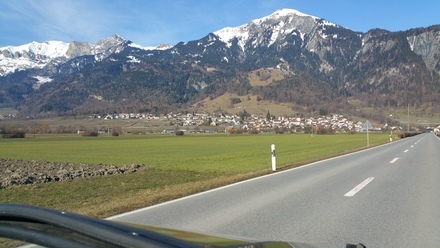 exiting lichtenstein sets us on a road towards the lutzisteig-pass, which will take us right to the lower rhine valley. 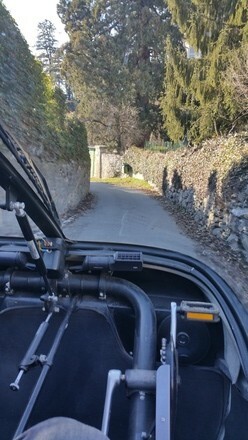 as usual, we try to stick to the smallest roads available which take us along the sides of the valley and are typically completely traffic-free. 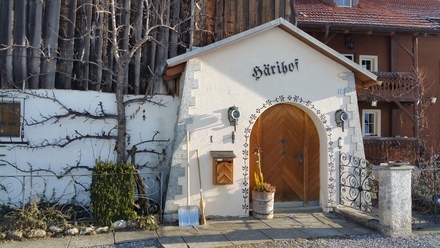 not long after that we arrive at malans, a quaint little village with a very long history of wine-making. 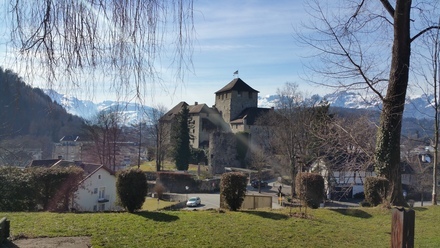 but before we go to the fondue event, we first want to check into our bed and breakfast just a few kilometres down the road. we decide on getting the most of the day and have a beer whilst taking in the last rays of sun. we then head to the winery to meet-up with our fellow ev-drivers. 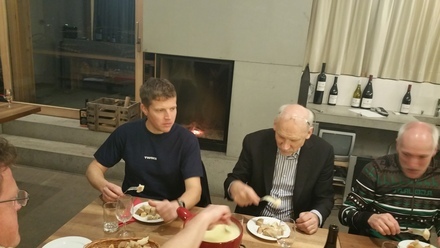 we quickly settle into the very nice routine of chatting about efficient things, tasting exceptionally good swiss wine and – eventually – eat fondue. 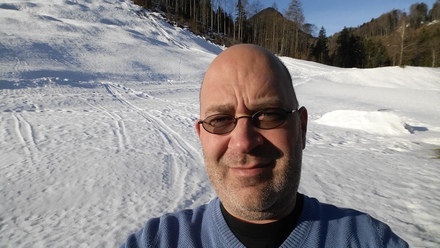 we even had somewhat of a celebrity at our event – jos gasser – a member of swiss lower chamber of parliament. 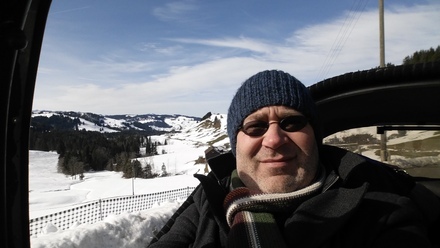 responsible for many larger green-tech initiatives himself, he is a very fun person and … a twike pilot for the last 12 years! much later that evening, jc an i are very glad to have chosen to stay overnight: our two kms back to the bnb were freezing cold – a reminder that after all, we were still in the alps here. next morning we wanted to start early since sunday promised to be at least as nice as saturday. 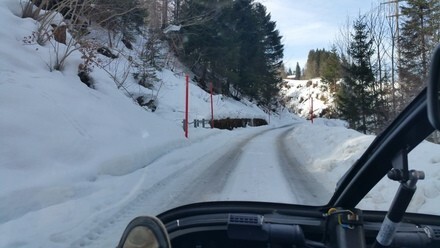 we’ve not have had lots of snow this year…it’s all here! TW231 just needed some few minutes to top off the 2kms we had driven the evening before and we were ready to leave. our route today was to take us away from all larger roads. however, still early in the year, most passes are still closed which did limit our options a little. 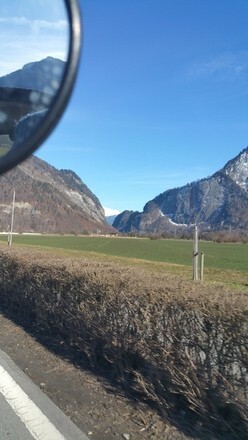 we opted for smaller roads along the rhine valley hills and crossing over direction zurich via wildhaus. 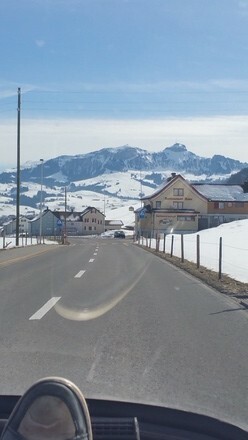 just minutes after we leave, we start climbing the hills vis-à-vis malans. 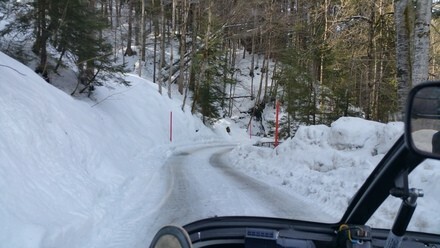 after taking a “wrong” turn somewhere, we ended up on the other side of the valley, heading up the lutzisteig again, just this time on an even smaller road. 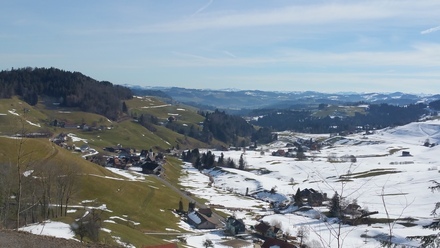 after briefly crossing into liechtensteig again, we started our ascent towards wildhaus. given the nice weather, the main road would certainly be clogged with many motorbikes and cars. not many people know that there is an alternate route…which we took. 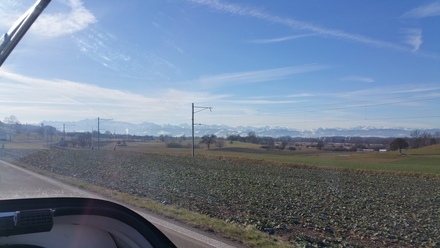 single lane, as usual, it offers unparalleled views of the lower rhine valley, right up to lake constance… and no traffic! 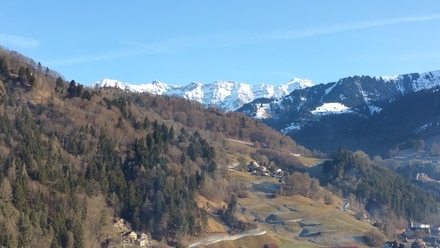 on the last few kms up to wildhaus we were, once again, reminded of where we were: an alpine environment! 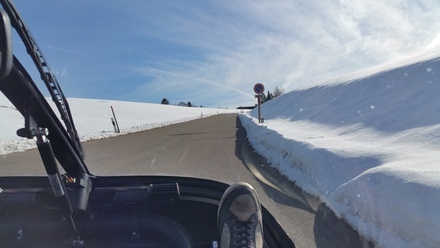 around zurich, we haven’t had snow for some time now, but here… see for yourself. the rest of our trip was very relaxing but uneventful: another stop with some food and beers and eventually, we got back to jc’s place, where TW560 was waiting for me, fully charged, ready for 45kms on the motorway, back home. again, a brilliant day! 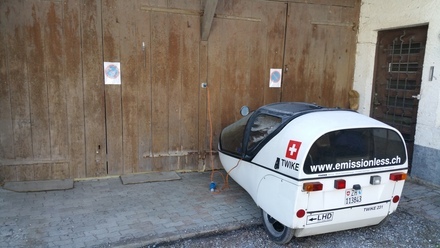 i’m so glad we decided to take the time and am really looking forward to our twike adventure this year TDB2015, which will see us drive 2500+kms to the baltics and back. 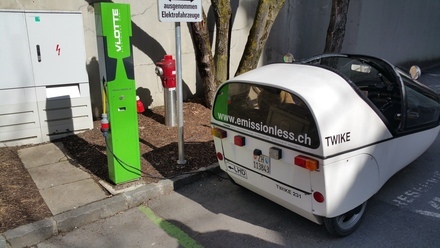 so much more fun waiting for us this year … with our trusted TWIKE! stay tuned.